The Dr. 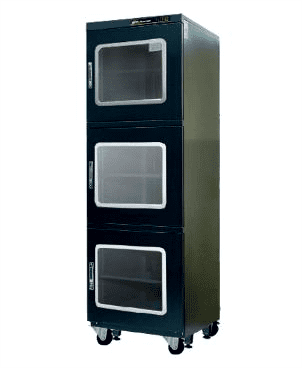 Storage XC Series of Industrial Quality Dry Cabinets are our most economical models and are built to maintain an internal environment of <5%RH. Specially designed to store and protect moisture sensitive devices (MSD). The XC Series eliminates the oxidation of stored parts and is particularly useful for storing SMT components, component reels, surface mount devices (SMD), electronic components, printed circuit boards (PCB), precision metal parts, miniature devices, pharmaceutical substance, biotic specimens, battery, crystal, IC package module, optical lens or scientific instruments. 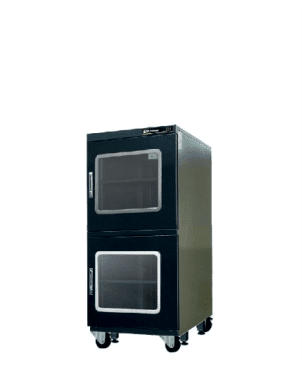 All of our XC Series Desiccant Dry Cabinets are built to comply with the IPC/JEDEC J-STD-033 standards. The Dr. 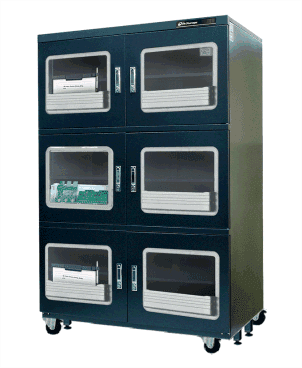 Storage XC Low Humidity Cabinets are plug and play, feature a rugged air tight design and are available in four different sizes. 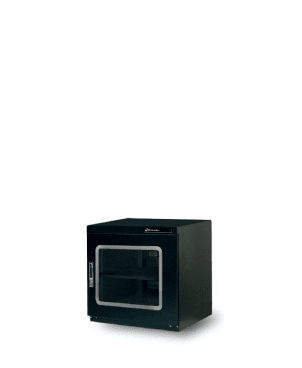 All XC Series Dry Cabinets come standard with an anti-static package, adjustable shelves, wheels, locking doors, decimal digital display and a countdown calibration reminder.